Olare Orok conservancy is home of Olare Mara Kempinski Masai Mara, where you can stay in luxury tented accommodation in the heart of the wilderness. Here, near other well-respected reserves such as the Mara Triangle Masai Mara National Reserve and South-Western Mau National Reserve, visitors can see all of the most sought-after game, and even take hot-air balloon safaris and horse rides for a special perspective of the Serengeti. Tanzania’s safari hotspots are beautiful and varied, offering visitors the ability to see rhinos, leopards, water buffalo and much more. The long, flat plains of the Serengeti National Park; the gigantic Ngorongoro Conservation Area and the world’s largest unflooded and intact caldera it is named after; and the cool, flamingo-studded waters of Lake Manyara. Just make sure to keep inside of your safari vehicle – Tanzania is home to large populations of predators! 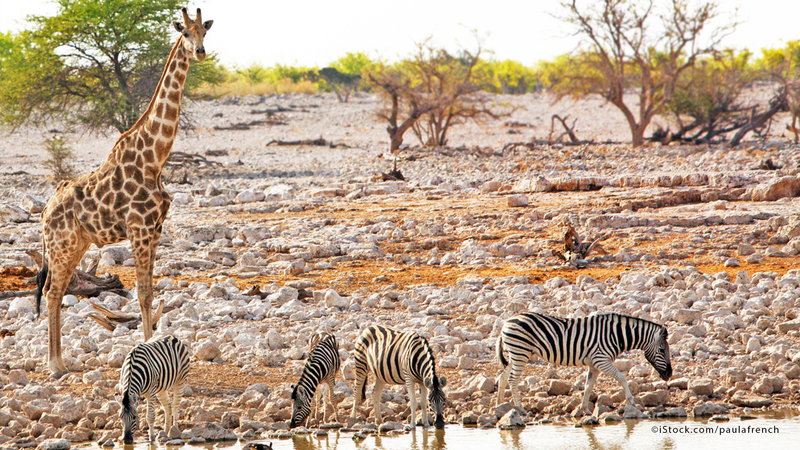 Home to fascinating desert landscapes, Africa’s tallest elephants, cheetah, black rhino and the famous Etosha National Park, Namibia’s safari industry might be less-developed than those in Tanzania or South Africa, but it is sure to impress visitors, particularly those for whom a luxury, tailor-made experience is required. The country is also home to great experiences such as treetop camping and trips to water holes where silent observation is the key to seeing some of the most elusive creatures. One of Africa’s more developed countries, Botswana’s rich natural heritage shines across a range of locations, particularly Chobe National Park. This famous park is situated in the Okavango Delta, a maze of criss-crossing marshes, rivers and streams that is home to a year-round population of amazing animals. While the same can be said of most African safari locations, when near bodies of water or swamps, always make sure to cover yourself in mosquito repellent and invest in good anti-malaria medication to ward off ill-health. Another up-and-coming safari destination, Swaziland is home to lots of protected areas such as Hlane National Park and the Nyonyane Protected Landscape – home to all sorts of captivating wildlife. There are also individual experiences to enjoy too. Milwane Wildlife Sanctuary, for instance has provision for visitors to enjoy a mountain bike safari. A truly unique safari perspective compared to being perched high in a 4x4 vehicle, mountain bike tours are one of the more thrilling, although make sure to listen to the advice and direction of your guide throughout the journey! 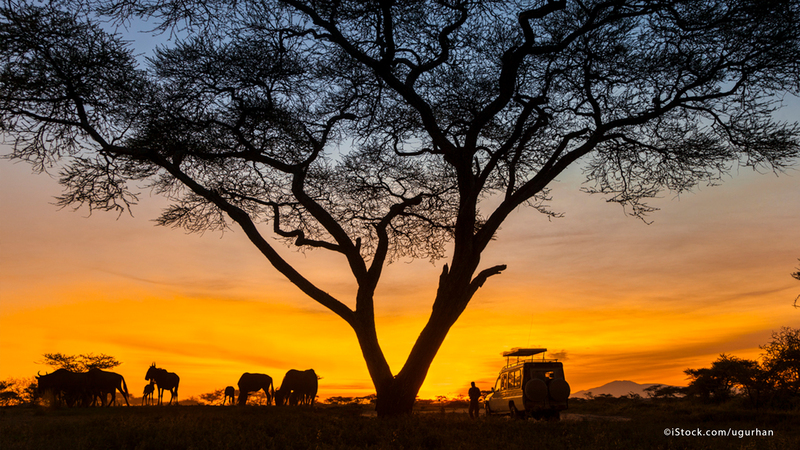 For more information on the various safari options Kempinski offer, please contact us.